AC Green played in more consecutive games than any other player in NBA and ABA history. With 1,192 straight games played, he earned the nickname "Iron Man". He played for the Los Angeles Lakers, Phoenix Suns, Dallas Mavericks and Miami Heat. He played in 1278 out of 1281 games in his career (99.8%), with the three he missed coming in his second season, 1986–87. 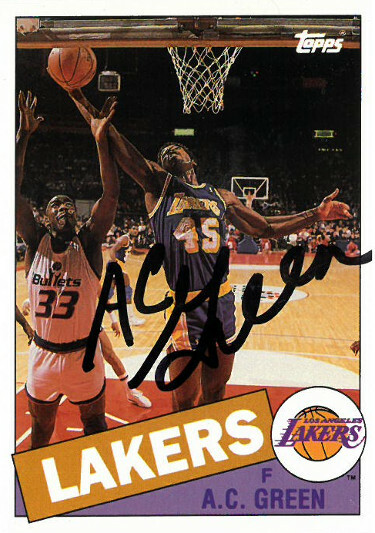 AC Green has hand signed this Los Angeles Lakers 1993 Topps Archives Basketball Trading Card #65. Certificate of Authenticity from Athlon Sports Collectibles.